Watch live TV on iPad Free | TV Apps for iPad | Free Pc to Phone Calls, Free Voip Calls to India International ! Tablets are really popular these days. iPad3 has been launched and a lot other tablets were also introduced this mobile world congress. I am having iPad2 and I just love the gadget! What makes it more amazing are the apps which I run on it. 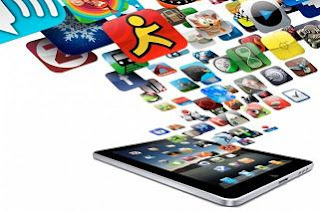 The app store provide wide variety of applications for iPad and iPhones! So are you using TV on mobile..Are you able to watch your favorites shows and films on your iPad. Today we will review the TV streaming apps for iPad. Please note that many of these apps can be used on your iPhone and iPod as well. So apart from turning your iPad to Phone, you can turn iPad to TV as well! Yupp TV : It has been the #1 choice for all Indians living abroad to watch their favorite Indian TV Channels, live across the world, on internet. I tried this app on my iPad2 and any Hindi, English channels are available. I tried watching NDTV and it worked great! The quality was also good. Currently the app is free! Good to have TV app on iPad. Yap.TV : It is your personal, social TV show guide. Discover your friends' favorite shows on Facebook and see what you have in common. See what fans and stars are saying on Twitter, and jump in. We make surfing for stuff to watch on TV fun, and make it easy for you to mingle with friends and fans around any show on TV. Get your gossip on and be entertained by the most smoking-hot TV show guide available! I have not yet tried this app! SPB TV : Want to watch news, sports, entertainment and live TV shows FREE right on your iPad ? There is an app for that! With SPB TV you can use a 3G or Wi-Fi internet connection to get access to more than 100 channels from 17+ countries. No sign-up, just watch and enjoy! Real Magic TV : Real Magic TV is NOT a 24/7 TV channel. It is a single show with a vast library of archived episodes and artist profiles, made available to users for free through this application and the show's official site and partners. NBA.TV : NBA.tv is the official mobile app of the NBA. It features 50+ new video highlights per day and access to live and on-demand games through League Pass or Team Pass (blackouts may apply). Fashion TV HD : It's now possible to keep yourself updated with latest trends, news about famous fashion designers, the fashion shows all around the globe, news about Haute Couture and parties around the world. The FashionTV iPhone App entertains and inspires the audience by providing an insiders view of the fashion industry in a highly desired clip-based content. Bloomberg TV+ : Bloomberg Television is a 24-hour global business & financial news network that is watched by the most affluent and influential viewers in the world. TV India (Paid $1.99) : With "TV INDIA" you can now watch live online TV directly from your iPhone & iPad from various Indian and International channels. It has large numbers of tv channels, so your money is well worth. munduTV : mundu TV is Television on your iPad. Go mobile through Wi-Fi or 3G connectivity and watch your favourite channels live. Independent of your network provider and with an array of relevant, popular Indian TV content it's Television freedom to the informed user. This complies a short list of TV apps for iPad. Well there are actually more than 1000 tv apps in iTunes. We have just compiled this list of the apps which seemed more interesting (and some of the ones we have tried ourself). Please let us know if you want us to include any other app. Its time to watch TV on your iPad. any free call trick for india? 1. Use evaphone (Pc to Phone Calling). 2. Try winning the contest (Localphone : one year free calls). Do you have iPad or any smartphone ? If yes, then try apps like viber, freephoo etc. how to participate in that contest? Hey bro ,how about a free wordpress pure domain website,i have a trick for it keep ur this blog,and own another free .com website,with few (max3)reserved adspaces,if intrested plz let me know. Yeah..I have also tried Fring on my android and the call quality was bad. So I can suggest you a few options : Viber (works good on android), Skype (awesome for video calls), Sipdroid (for SIP calls). The blog has more than 700 ways to make calls, so better search for the country you want to call. Additionally we have started with monthly post reviews where we will categorize the posts based on the type, so you can refer to that as well. Thanks dude for the trick offer, however we just need a platform to build a voip community and provide people with latest and best voip deals. We will let you know if we feel that we need a new free domain. There are many really good apps out there to watch TV shows on your iPad. I use the DISH Remote Access app through my provider DISH. With the sling adapter hooked up to my receiver I can access all my subscription channels from anywhere I can get a Wi-Fi or 3G connection. I use this app all the time to watch live TV while I am traveling or to keep the kids entertained while we run errands. A co-worker at DISH even told me that I could now stream my Blockbuster@Home service to my iPad as well. I love this app to watch TV because it gives me everything I need.